Citizens going about their business. To keep your city growing, you need to take care of your citizens’ health, education and overall happiness. Healthy, educated, and content citizens are the key to running your city efficiently. Cities:Skylines tracks citizens individually. Each of the citizens has a number of different attributes that are used to measure their needs and how they can contribute to your city. Place of employment or education. Citizens not in work or education will be reported as "unemployed"
Current activity. This will report their destination if they're currently travelling. A citizen's happiness will also be displayed as a type of face depending on their happiness. The game also associates individual citizens with health and wealth values, although these are not viewable without mods. Similarly the game also associates citizens with cohabiting family units, relationships which are very hard to track without dedicated mods. Education allows your citizens to work better jobs with higher educational requirements. Industry, commerce and office buildings will only be able to level up if they can employ sufficiently educated workers. The level of residential buildings are also partially dependent upon the smarts of their occupants. Education is provided to the city's youth via schools and universities. Children - will go to elementary schools if there is capacity for them. Teens - will go to high schools if there is capacity for them. Young Adults - will either attend university, or join the jobs market like adults. The 'Education Boost' policy will make them more likely to choose the former and the 'School's Out' policy will make them more likely to choose the latter. Adults - On becoming adults, citizens will move out of their parent's homes and find new ones. Adults will partner with other adults and have children. Adults will form the bulk of your city's workforce. Seniors - On becoming seniors citizens will retire from their jobs. They will continue to shop and use your city's services. As well a classification on this hierarchical system, each citizens has a precise numerical age, although this is not discoverable in the unmodded game. The age of a citizen affects its needs for various city services. Children need more healthcare and education than adults. Senior citizens also need more healthcare services, but also more police and fire safety services. Eventually your citizens will die of old age and need deathcare. 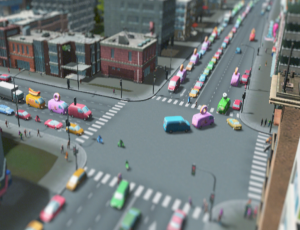 Citizens age very quickly in Cities: Skylines, with a typical lifespan of 6 in-game years; some Steam Workshop modifications can modify the maximum lifespan of citizens. The health of your citizens affects their life expectancy and work efficiency. Low health will put a strain on your healthcare services and negatively affect the well-being of your citizens. Having proper healthcare, garbage disposal services, and fresh water in your city contributes to the health of your citizens. On the other hand, noise pollution, pollution and contaminated water, eventually making them ill and unable to work. Your citizens' happiness has an effect on how much money they spend, employment, and the crime rate. Severe lack of well-being means people leave the city because of the poor conditions. You can affect your citizens’ happiness by keeping them safe and offering them recreation and education. Police and fire services, parks and plazas, schools, and electricity, to name a few examples, increase the happiness of your citizens. Fires and low health have a negative effect on happiness. Your citizen's place of residence is tracked individually. This information is displayed in the citizen's information window. The text naming the residence is a link that can be clicked to view the building. Your citizen's workplace is tracked individually, and is displayed on each citizen's information window. Students will show the name of the school they are studying at. This page was last edited on 29 March 2019, at 01:16.